Will 'Finding Dory' Be Biggest Animated Opener of 2016? “Finding Dory,” the highly anticipated sequel to 2003’s “Finding Nemo,” is picking up enough steam that box office experts believe it could surpass “Zootopia” to become the biggest animated opener of 2016. And, yes, reviews have been extremely positive: “Finding Dory” has a score of 96 percent on Rotten Tomatoes, while “Zootopia” has a “fresh” rating of 98 percent on the review aggregator. BoxOffice.com forecasts a $133 million opening for “Finding Dory;” March’s “Zootopia” opened to $75 million and has grossed just over $1 billion worldwide. Bruce Nash, founder of The Numbers, says $100 million is the benchmark for “Finding Dory,” while other early tracking numbers suggest a $125 million opening. “A $350 million domestic total and $700 million international would give it $1.050 billion worldwide … just enough to overtake ‘Zootopia,‘” he added. “Finding Nemo,” for example, grossed $380 million domestically and $555.9 million internationally. Robbins also added that tracking is well ahead of past Pixar titles. The highest grossing Pixar movie was “Toy Story 3” in 2010, which raked in $110.3 million on opening weekend and $415 million domestically. “Finding Dory” would even surpass Disney hit “Inside Out,” which opened to $90.4 million last year and earned $356.5 million domestically. 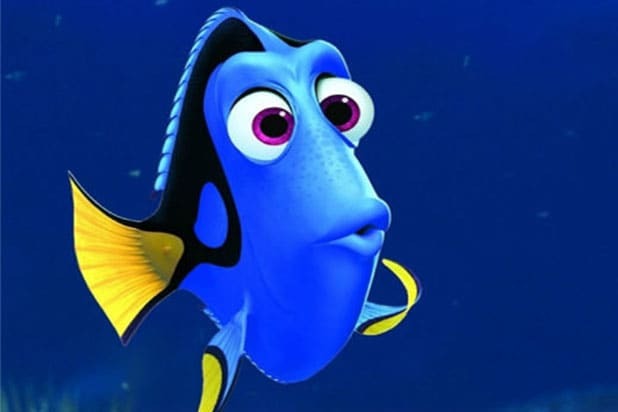 The senior analyst believes “Finding Dory” even has a shot of surpassing the debut of DreamWorks’ “Shrek the Third,” which grossed $121.6 million in 2007. Adjusted for inflation, the third “Shrek” film made $139.6 million on its opening weekend.